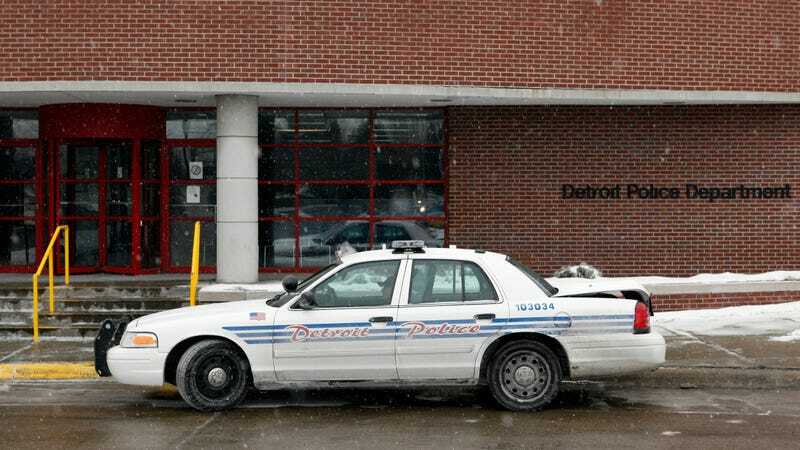 An explosive investigation into corruption at the Detroit Police Department blew open on Wednesday, when authorities announced that four officers pleaded guilty to extortion charges related to the scheme, while two more were indicted on separate charges. The officers accepted bribes from auto collision shops in town, the feds allege, in exchange for stolen and abandoned vehicles recovered by the city. Two current Detroit police officers were indicted on Tuesday, according to a news release from the U.S. Attorney’s Office in Detroit, and four retired cops pled guilty to committing extortion. The charges come as part of multiple, widespread corruption investigations in Detroit that roped in towing companies across town and trash haulers. The scheme itself dates to last year, when The Detroit News revealed that federal investigators were probing a scheme that involved collision shops that made unnecessary repairs to stolen vehicles and billed insurance companies for the work. Officers are supposed to alert dispatch, which assigns one of 23 authorized tow companies to pick it up, depending on where the vehicle was found and which of multiple firms were next on the rotation list. But they didn’t alert dispatch; instead, they were calling one tow company to pick up the vehicles. 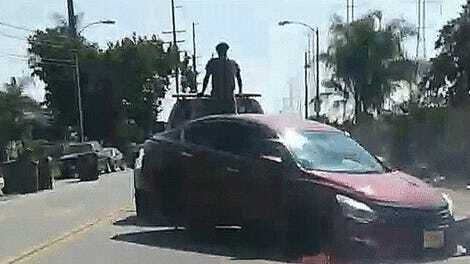 The tow company usually paid the officers between $50 and $100 for each car towed. The four retired officers who pled guilty could spend anywhere from 24 to 30 months in prison. In September, a towing company accused Detroit of illegally yanking its permit to operate, Jalopnik reported at the time, while city officials accused the company—Nationwide Recovery—of partaking in an “elaborate” stolen vehicle scam. The city’s complaint says in that timeframe the company recovered 217 vehicles, far exceeding other companies in town. Nationwide claims it has no connection to the scam, but Detroit nonetheless revoked its permit to work in the city. That case is ongoing. As for the current officers indicted on Monday, Deonne Dotson and Charles Wills, both face up to 20 years in prison and $500,000 fines for the felony charges. Lawyers for both could not be immediately reached for comment. Dotson will be arraigned Dec. 19 at 1 p.m., the feds said. Wills arraignment has yet to be scheduled.